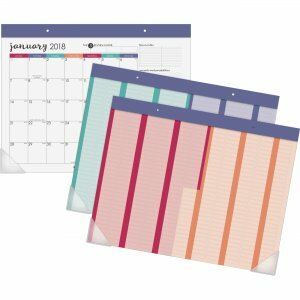 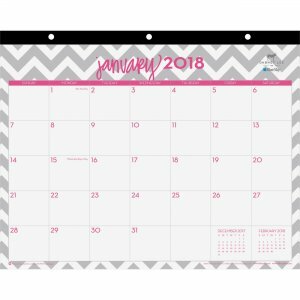 Desk pad with color-coded, reusable stickers features a 12-month date range to help you plan for your entire year from January to December with count of days/days remaining. 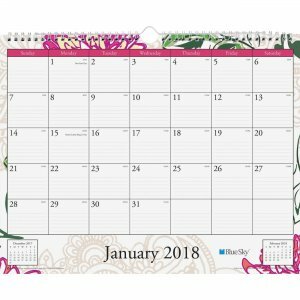 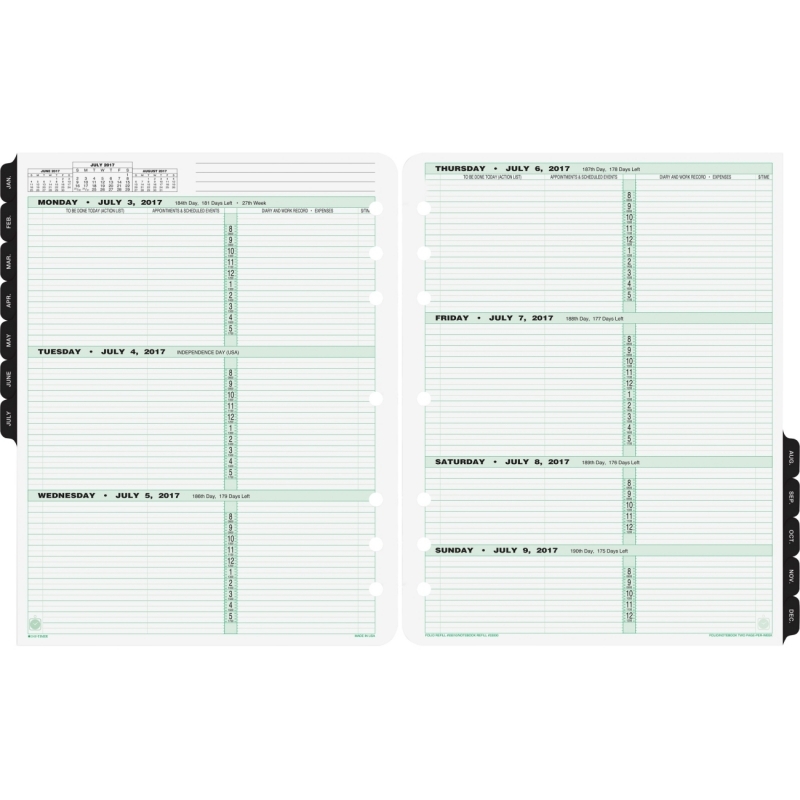 One-month-per-page format contains unruled blocks to allow open scheduling without restricting your space. 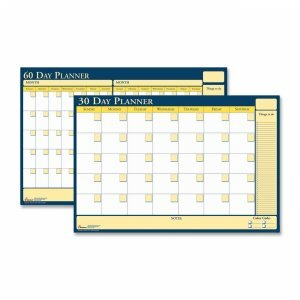 Additional sections allow you to keep a checklist and track your pursuits and possibilities each month for enhanced organization. 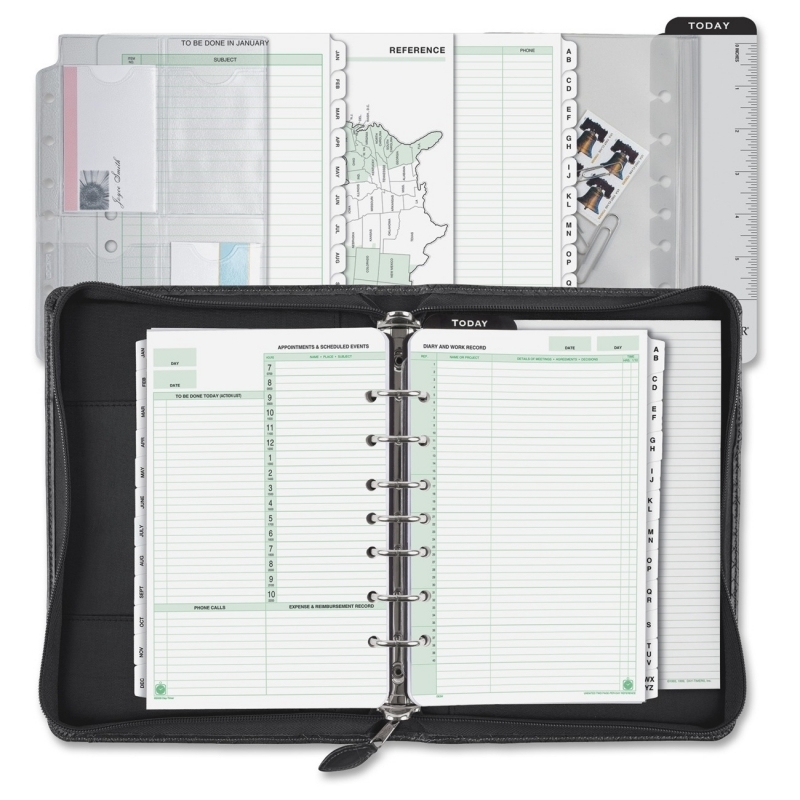 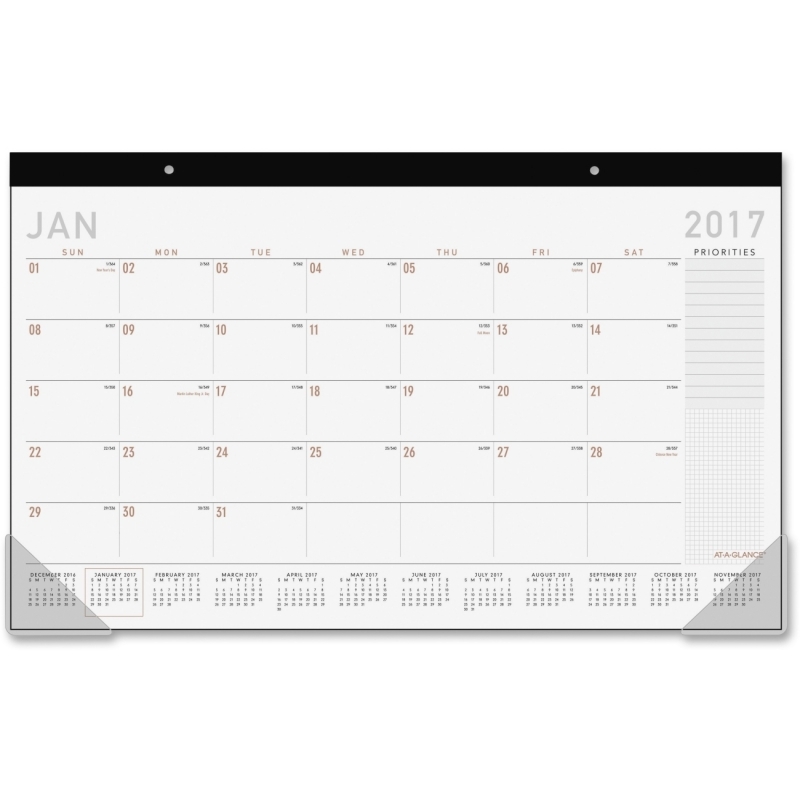 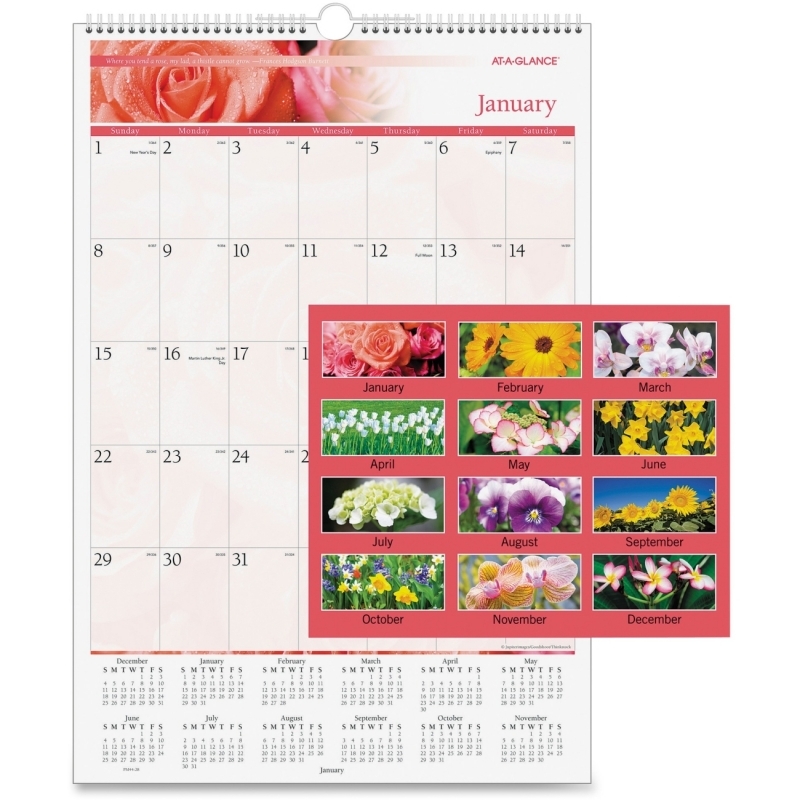 Top binding with two eyelets allows it to be also used as a wall calendar. 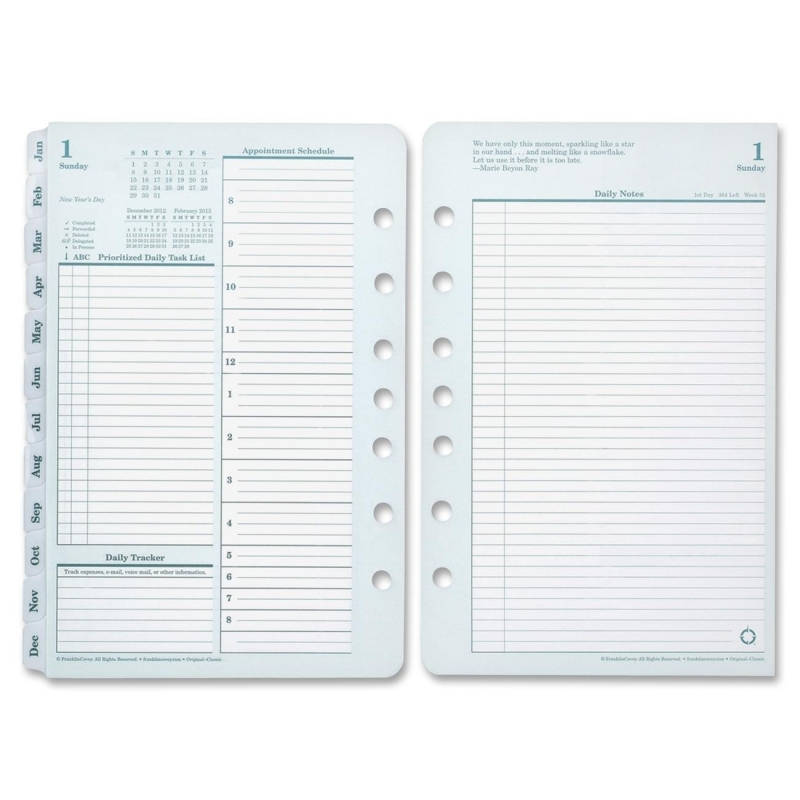 Two poly corners keep each page flat while on your desk or wall.